WASHINGTON (Reuters) -- The U.S. Federal Trade Commission, which probes companies accused of deceptive advertising, has joined the Justice Department and Environmental Protection Agency in investigating Volkswagen, which is accused of lying about emissions from diesel cars. The FTC is coordinating with EPA and Justice, agency spokesman Justin Cole said. The FTC's involvement was first reported by Politico. Volkswagen AG's market value has dropped sharply since news broke in September that "defeat devices" aimed at hiding emissions were found to have been installed on VW's diesel vehicles. 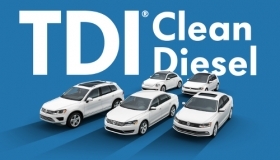 The automaker has pulled advertisements touting its "Clean Diesel" technology. Lawmakers in Washington called on the FTC to investigate the automaker late last month.